Hymn to Tourach at StarCityGames.com! Card Text: Target player discards two cards at random. Oracle Text: Target player discards two cards at random. 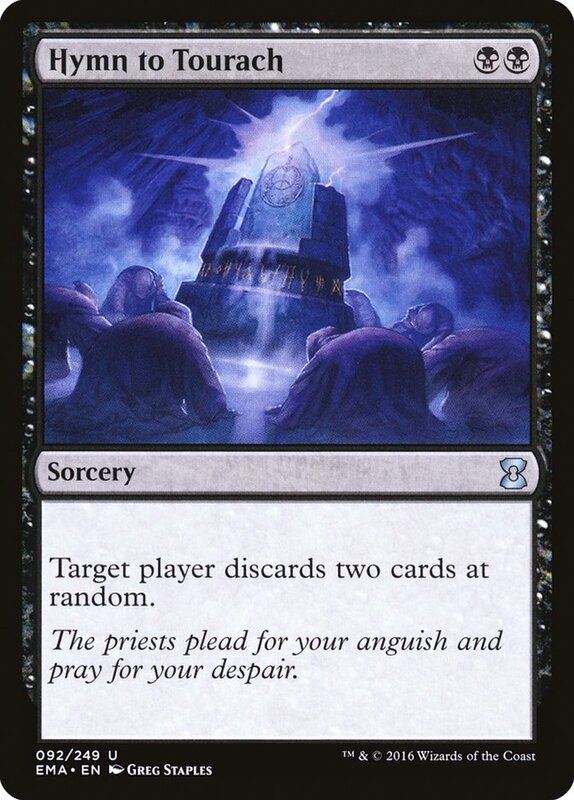 Flavor Text: The priests plead for your anguish and pray for your despair.